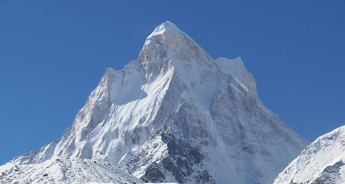 Revel in the charm of high peak mountains, beautiful landscape and fascinating villages while you choose Garuda Peak Climbing expedition in Garhwal Himalaya with Tour My India. Garuda Peak is one of the lesser-known and enthralling adventure expeditions in the Garhwal Himalayas of Uttarakhandthat commences from Jumma, located at a distance of 45 kms from the town of Joshimath. During this thrilling excursion you have an opportunity to discover the tranquil views of various Himalayan Peaks like Hathi Parbat (6507 m), Gauri Parbat (6708 m), Satminal (6911 m), Dunagiri Parbat (7066 m), Trishul Parbat (7120 m), Mt. Kalanka (6931 m), Changabang Parbat, and many more. 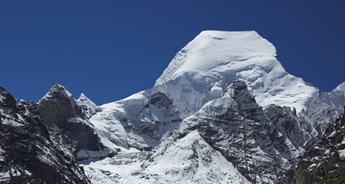 The Garuda Peak is located at an elevation of 6000 m and takes 8 arduous days to complete. During this adventure, you’ll also get the chance to witness the charm of rural Uttarakhand where you will trudge through remote villages of Ruing and Dronagiri. 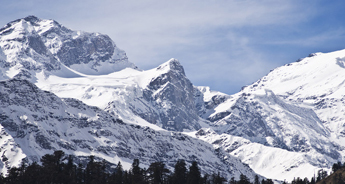 Expect to relish the uncontaminated beauty of Garhwal Hills and Chamba Glacier, situated at an elevation of 4400 m from the majestic peak of Garuda as your reward. This adventure expedition also endows you with opportunity of camping at some of the surreal locations and a peek inside the rural lifestyle in Uttarakhand. Tour My India not only gives you the best travel packages but also serve as your true travel companion. We make sure to full-fill your each and every tiny need during your Garuda Peak expedition with us. Our packages include the finest itinerary and services whether it is camping arrangement, experienced trekking crew, accommodation, food, or the best price. In the morning take an AC train for Haridwar at 06:50 hrs. Arrival at Haridwar by 11:25 hrs. on arrival met our guide and transfer to Rishikesh and check in to the hotel. The day is free. One can explore the nearby places. Dinner and overnight stay at the hotel. We will start our Garuda expedition from a base point in Rishikesh from where you will be greeted by our executive, and thereafter, will board the Jeep journey to Joshimath which will take 9-10 hrs. On arrival, you’ll be escorted to Guest House where you’ll be free to enjoy your evening and to have an overnight stay. After a delectable breakfast, we'll start our 2 hrs drive to Jumma trek point with packed lunch. From Jumma, we’ll begin our easy trekking journey for today to Ruing Village, which is also our base point for an overnight stay in a tent. Today, after a healthy breakfast, we’ll resume our trekking expedition to Dronagiri Village (with packed lunch) which would take around 5-6 hrs to reach. Dronagiri is the highest village in this valley, and thus, the trekking trail to Dronagiri Village is steep. In the trekking course, you’ll get the chance to witness the majestic beauty of might Himalayan Peaks. At evening, we’ll explore the village and visit local houses to drink local tea. Dronagiri would be our next base point for an overnight stay in tents. After having breakfast, we’ll begin our trekking excursion from Dronagiri Village to Garuda Base Camp which will take around 5-6 hrs to reach. Since it would be a long trekking route, packed lunch will be carried. After leaving the campsite, we’ll reach a winding path which leads us to a high hill from where you can spot the first view of the Garuda Base Camp Valley. Around 30 mins of trekking after leaving the Dronagiri base camp, we’ll reach a concrete bridge over the BaganiNala. Once we’ll cross that bridge, the winding path begins again.This whole area is almost flora less but, the place is replete with boulders, and thus, becomes a perfect landscape for trekkers. Moving further, after trekking for two hours from the bridge, you will land at camping ground of Longa Toli, which will be a halting place to rest for some time. Thereafter, we’ll reach Changabang and Kalanka Peak which is our campsite for the night. In morning, after having the breakfast, we’ll start the trek from Base Camp to Camp One. It is a steep trek that will take 4-5 hrs to reach Garuda Peak and the route will be filled with moraine. Thereafter, we’ll reach the Camp One campsite where you’ll be accommodated in tents to have an overnight stay. 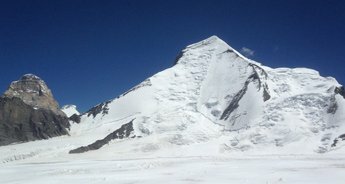 Note: If you do not want to climb Garuda Peak, you can simply perform 500m climb and can get back to the base camp for the overnight stay in camp. Today would be a hard day as we’ll start climbing to Garuda Peak around 3 AM after having a light breakfast and tea coffee in order to reach the top of Garuda to witness the beauty of the sunrise. On this day, we’ll cover the distance of 6 km which will take around 5-6 hrs from Camp One to top of the summit. After enjoying the view from the top for some time, we’ll head back to our Camp One. The day will start with delectable breakfast, after which we’ll resume our 10 km long trek along with the packed lunch in order to reach Toli campsite. This would be an easy day as you’ll be trekking downwards. Once you’ll reach Toli, you’ll be accommodated in camps near the river for an overnight stay. On this day, post breakfast, we’ll start our returning journey from Toli campsite to Raj Kharak which is a 10 km trek, and thus, it’ll take 5-6 hours to reach. After hours of trekking to Raj Kharak, we’ll reach to the campsite where you’ll rested overnight in the camp. Today, after having breakfast, we’ll resume our trek to Jumma via Garpak Village along with your packed lunch. The trek will take 5-6 hrs to reach Jumma. After one hour of trekking from Raj Kharak campsite, we’ll reach BaganiNala. After further trekking, you’ll reach the Ruing Village and will continue trekking for around 1 hour to reach our destination, Jumma. Once you’ll reach Jumma, our executive will take you to your hotel in Joshimath in a car for an overnight stay. On day 10, after having the breakfast, you’ll be headed towards the Haridwar Railway Station in a car from your Joshimath hotel. Thereafter, you’ll board your train to Delhi at 18:05 hrs. Arrival at Delhi by 22:45 hrs.